Meet upon arrival at Hanoi International Airport, then transfer to the hotel for check-in. Time at leisure. Accommodation in Hanoi. Check - in time at 02:00PM. Then explore Hoan Kiem lake and a short walk in the Hanoi Old quarter to observe the daily life of local people. 8:00am depart for Halong bay, 180km east of Hanoi, listed as World Heritage Area for its Outstanding beauty by UNESCO in 1994. 12:00 we board a traditional junk style to discover the 8th World Wonder where the movie "Indochine" was realized with Catherine Deneuve, French star in the 1990's. Lunch on boat with fresh seafood. It is time to relax on the deck through the most beautiful landscapes with more than 3,000 islands and limestone islets, rising from the emerald water. Visit a natural cave, the most picturesque grotto in the bay. Swimming if possible and relaxing on the deck. Dinner & Overnight aboard. 11:50 Disembark at Tuan Chau wharf. 12:00 Drive to Hanoi domestic airport for flight to Hue. Visit a workshop of potteries en route and a typical village of the Red River delta. Meet our guide at Hue Airport and transfer to hotel for check-in. Leisure time. Accommodation in Hue. Full day to explore Hue, the former Royal city of the 13 ruling Nguyen dynasties: visit the Imperial Citadel and Forbidden city, Tu Duc king' mausoleum and a local market Dong Ba. Enjoy a boat trip on the Perfume River to discover Thien Mu pagoda, the wonderful architectural structures for religious worship in Hue. Lunch at local restaurant. We continue our journey to the village producing conical hats to watch the artisan’s daily works. Overnight in Hue. Depart for Danang. The scenic 3 hours and half drive via Hai Van (Cloud) pass offers spectacular views of mountains, the sea, idyllic beaches and villages. Visit Cham museum on the way. We continue further south to the charming historic city of Hoian. Upon arrival, check-in at hotel. Leisure time. Overnight in Hoian. After breakfast, discover Hoian ancient town, known to early Western merchants, the city was one of the major trading centers of South East Asia in the 16th century. Hoian has a distinctive Chinese atmosphere with low, tiled-roof houses and narrow streets. Many of the houses were constructed of rare timbers and decorated with lacquer panels engraved with Chinese characters and pillars carved with ornamental designs. Visit historic merchants and community houses, places of worship and Japanese covered bridge, Hoian market. PM: Leisure time. Overnight in Hoian. Meet on arrival, transfer to the hotel for check-in. Lunch at local restaurant. PM: Discover Hochiminh city (formerly Saigon), the biggest economic center in the country: visit Opera house, Notre Dame cathedral, Central Post Office, China town, War Remnants Museum, a lacquer factory. Overnight in Hochiminh city. Drive to Mytho to explore the Mekong delta. Mytho is famous for its extensive orchards and immense rice fields. Enjoy a boat trip on the Mekong river and visit an orchard on an island. Lunch at local restaurant. Back to Hochiminh city. Leisure time for shopping. Overnight in Hochiminh city. 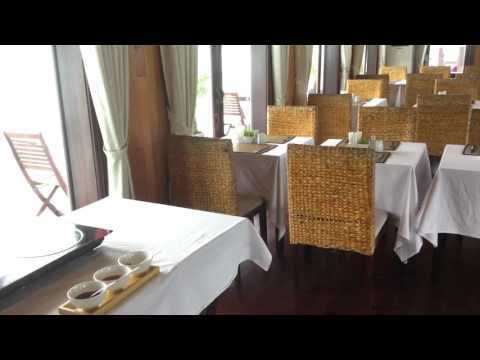 LE DUY Hotel DELUXE (***) or similar in Hochiminh city. EDEN Hotel DELUXE (****) or similar in Saigon/Hochiminh city. REX Hotel Premium (*****) in Saigon/Hochiminh city.